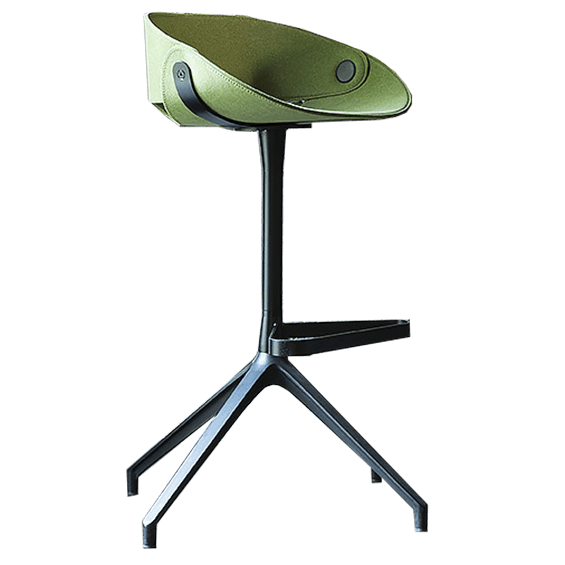 Barstool with a flexible padded seat suspended on a die cast aluminum base in a black finish with PVC glides. The frame has a 180° swivel mechanism without memory return as well as a footrest. The shell elements are secured to the frame with innovative steel fixings.